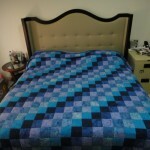 “I want to have American style blanket” my friend said to me after he learned that I am making quilt, “I want it in blue color, King size to match my bed.” Then I made this quilt using my bali batik fabrics in blue color range. 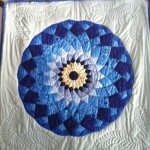 King size bed, and hand quilted. 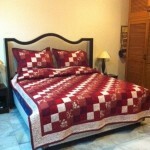 My new experience began here, right after I landed at Siem Reap. A tuktuk picked me up and drove me to the hotel.